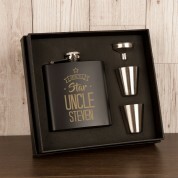 Present your Uncle with this beautiful, minimalist matte black anodised hip flask on his special day. 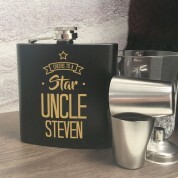 Whether it’s his birthday or a christmas present this gift is sure to say thank you in a special and unique way. 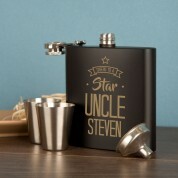 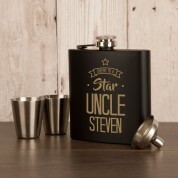 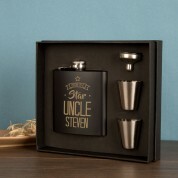 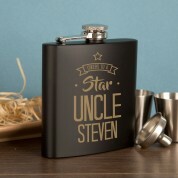 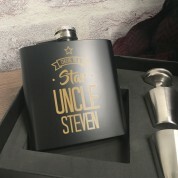 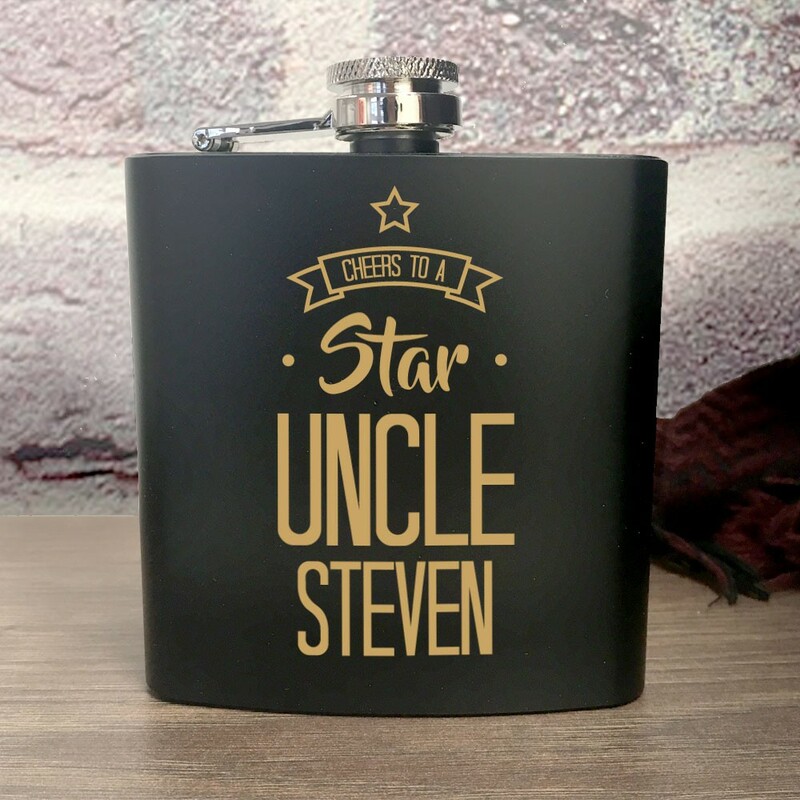 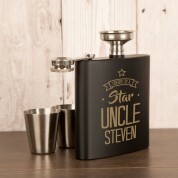 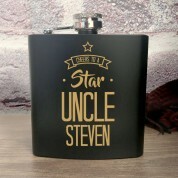 This hip flask is engraved in-house with your Uncle’s first name complete with the full design.